Our hearts continue beating no matter the sadness and visceral pain we experience when a love one dies. What else can our breathing do? Let me invite you to the space of the breath and only the breath. I know what you’re thinking: People say to you to just breathe, take a deep breath, and in the depths of grief, this sounds like it is no help at all. Yet, if we break it down and think of it as a connection to heaven, a prayer, a moment of grace, something much deeper is felt. Tapping into a wisdom within ourselves that is bigger than this human experience. I remember when my mother died, I felt as if I couldn’t breathe. A panic attack would envelope my body, my breath was not deep, it was shallow and full of fear of life without her. It was a future I just could not picture. I dove into yoga, and little did I know that my own breath would be my solace. Tears of course came with it, but as I breathed, my grief was more in motion than stuck. With the breath there was grace involved, a prayer of sorts that I cannot put into words. It gave me reassurance that I was exactly where I needed to be. 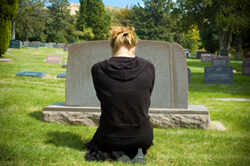 When we are grieving, the outside world is a tough place; when we breathe, we go within and connect to the body, mind and spirit. I felt a release with it, and I gained strength to make it through another day. 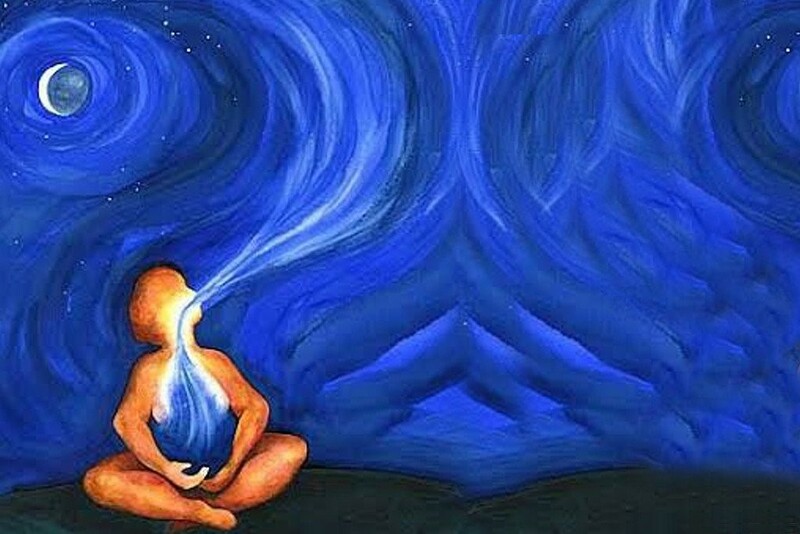 Throughout my life now, when I become anxious, and I miss my mother or worry, I take time to remember my breath which is my connection to the divine. Would you believe me if I said the breath feels like an old friend? It is always there for me waiting for me to take my next breath saying, “I got you, Nina.” This is a simple exercise, so gather all your senses and read on. Try this mindful breathing technique which only takes a few minutes. Close your eyes and become aware of your breath, the rise and fall of your chest, then feel the cool air going in and out of your nostrils. Feel into your body, tenseness in your shoulders, back or anywhere else, breath into those places, imagine your own breath as the light of heaven. The deeper breath is in to the count of 4, then out to the count of 4 nice and slow. I like to think of the ebb and flow of the ocean, the sound and rhythm of the ocean is similar to our breath. Relaxing your Tummy helps a lot (we hold so much in our tummies) Shallow breathing which is experienced in times of sadness, loss and fear, does not start at the belly, you will only feel the chest rise if your breathing is shallow. Next, place one hand or your tummy, feel the warmth of your hand there, with the in breath we want to FEEL the tummy rise, then the chest. Imagine the breath moving up from your navel to the top of your head. Be patient with yourself as you learn. Sometimes I imagine the breath as white light filling my body, sometimes I imagine my mother’s sweet face, other times I just use it to slow my thoughts down, especially at night. I wish you peace on your journey.